It's been very interesting lately how much we are all on a new spiritual wave. 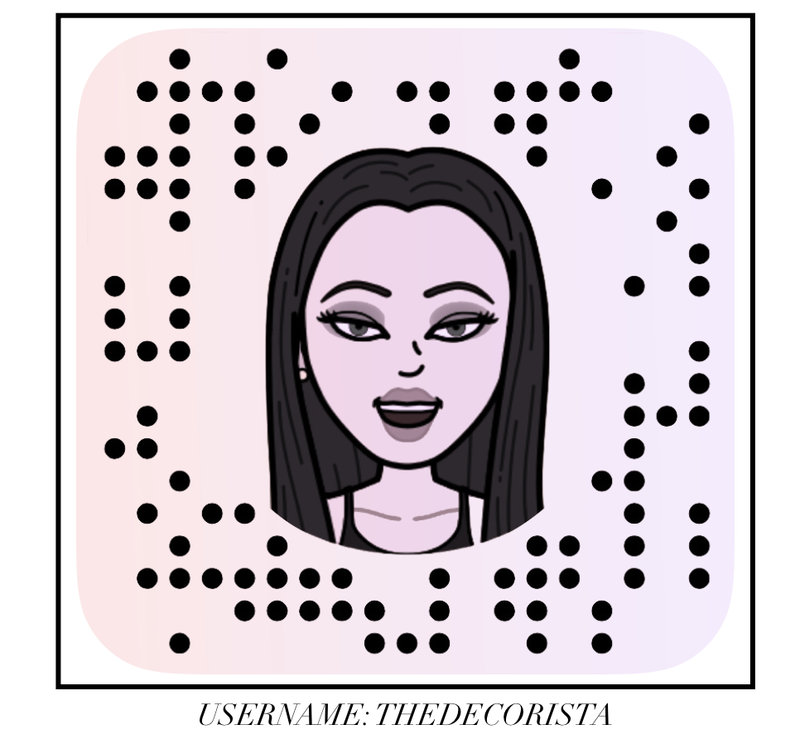 When I began sharing more about how I use crystals and Feng Shui on my Instagram, the more emails and messages I have received. More than ever before. When I began implementing more of my spiritual practice into my business, things began to shift immediately...for the better. So much of it really starts with letting go. Letting go of the need to hustle, need to control, need to force things to happen or need to know the outcome. There is a time for the hustle and a time for the flow. I learned this lesson when I began practicing Feng Shui in all aspects of my life, there needs to be a perfect balance of masculine and feminine in order for the flow to work. I am a Capricorn and an expert at working hard but it wasn't until I learned how to lean back and let go that things really clicked and made a lot more sense for me. The masculine part is being super organized, super clear and focused on the right things for your business. I share how to do all of that here. The feminine aspect is where the crystals, Feng Shui and my spiritual practices came in. These incredible things, gave me a guideline for how to amp up the Yin (the feminine) side of things. That's when doors open, opportunities come out of thin air, manifesting actually works and there is a feeling of freedom and flow. 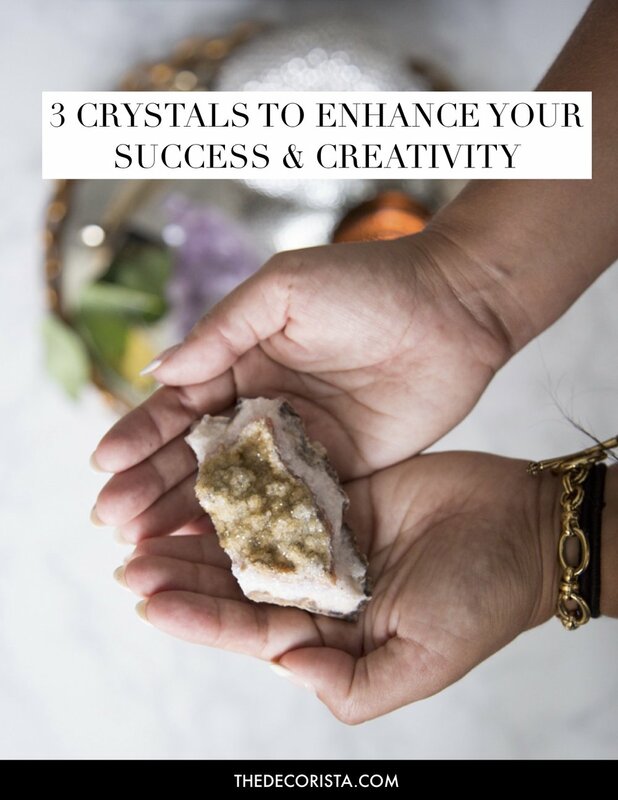 I will be sharing a lot more of these concepts but for now, I want to share with you 3 crystals that are great tools for keeping by or on your desk to enhance your success and creativity. 1. Amethyst. In Feng Shui, the color purple is a symbol for wealth and abundance so this crystal brings excellent color to your desk energy. It's also a crystal that connects you with your spirituality and your intuition. So when you are needing some creative juice, you can meditate on the crystal, stare at it, hold it while meditating. Whatever feels good to you. 2. Citrine. This pretty crystal symbolizes courage, vitality and represents the sun. So, if you have a dimly lit office, this crystal brings on the feeling of natural light. If you are short on money, the gold essence of citrine does a good job of attracting financial success, too. 3. Selenite. This is a beautiful white crystal for cleansing energy and almost anything else. If you are stressed, needing any sort of focus and clarity, this crystal is your magic little pill. I prefer it in wand form and use it to brush away stagnant or negative energy like a magic wand. It also helps you to get honest. Honest with your clients, honest with yourself about what you can do, etc. Pretty powerful. First, I sage my crystals, constantly. It's fun to do actually. Just light up some sage and let the smoke fill the area with new, clean energy. Next, give your crystals a purpose or an assignment. Hold them in your hand, close your eyes and give them a job to do. For example, one of my first times I ever held my selenite wand, I gave it the purpose to help get rid of things that do not serve me. So each time I use that crystal, I am confident in "letting go" and letting the universe do it for me. Crystals are a great connection to the universe and the earth. Which is really good Feng Shui. Finally, you want to place them where they look beautiful on your desk. The upper left hand corner of your desk represents the wealth sector of the Feng Shui bagua, so thats a really good place to start. Arrange them in a way that feels good and beautiful to you. That's the important part of their magic, using them intentionally. 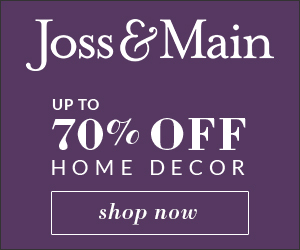 I recommend going to a crystal shop and finding authentic crystals for your home. You will be have fun feeling drawn to the right crystals for you. You want real, authentic crystals because they hold powerful energy so if you are using them in meditation or in your hands, be sure they are authentic. 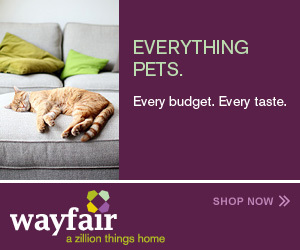 You can also find them in unique forms at places like HomeGoods. They may not be natural and authentic crystals but honestly, they still can serve as a representation of the symbol. A lot of times you can find these candle holder crystals and light a candle to amplify the vibes. They are so pretty too. It's whatever feels right and good to you. I know a lot of this feels a little out there and woo woo, so don't force yourself if you don't feel it. However, I have found the effects of implementing these magical tools in my life to be very effective.